We are hearing that many fall classes have been cancelled, including CAPS courses with no input from faculty or departments. We are also hearing that class sizes are increasing. Please let us know if this is occurring in your department. Please let us know if any of these cancelled classes usually fill or are required for the major, and if faculty have been consulted about teaching larger classes (if these have increased). Departments are supposed to decide courses and course sizes, not the administration. 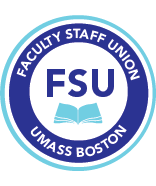 ►Please share our petition so that these problems do not occur, there is faculty input on class scheduling and class sizes, and the budget and budget cutting process is transparent. ►The bargaining team has made several proposals for a junior faculty sabbatical/research intensive semester. We can use your thoughts and energy on this issue so we can plan how to move this forward. Please join us this Friday April 21 at 2:30 pm, McCormack Hall, 1st floor, Seminar room 0421.